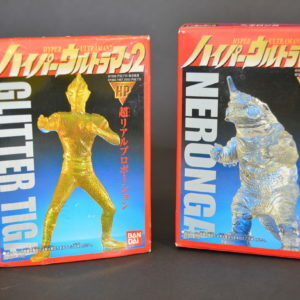 For all you Ultraman fans here is a special pairing of Glitter Tiga and a Crystal Neronga. Each comes in its own box. 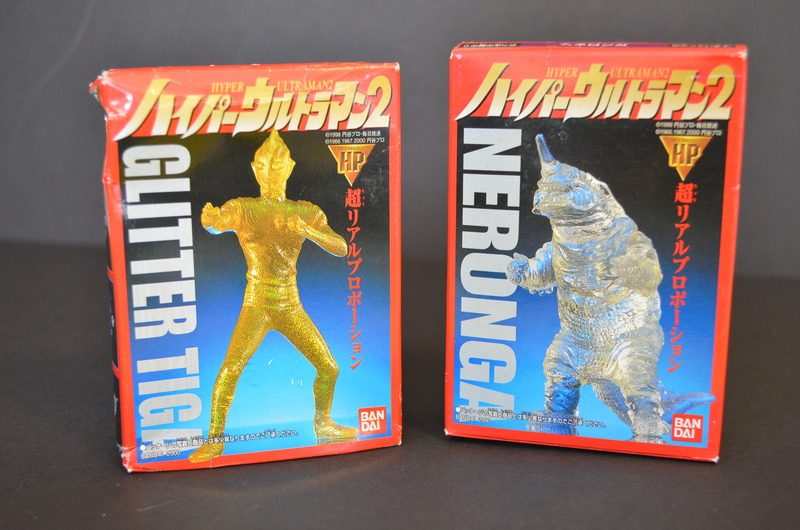 The figures are vinyl and stand approximately 4 1/2 inches. 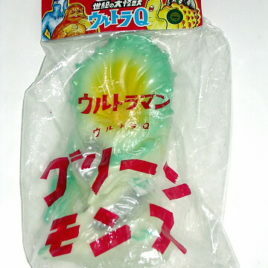 Produced by Bandai in 2000. 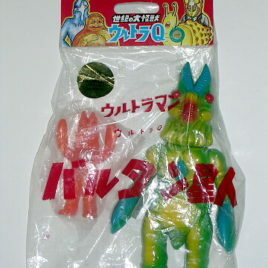 THIS is a RARE Collectible M1 FIGURE made especially for WONDERFEST 1999. M Ichigo makes some of the most highly regarded Japanese Collectible Vinyls. 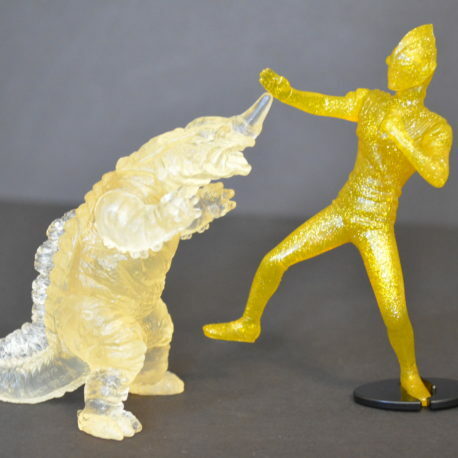 The company owned by Yuji Nishimura makes figures of premium quality vinyl and then hand paints each figure. 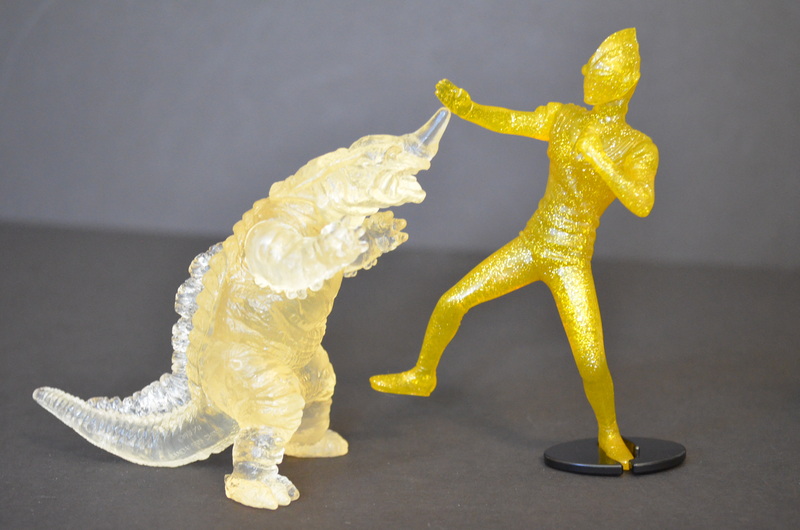 Here is Titanosaurus with mini MechaGodzilla. This is the Special Limited Japanese Wonderfest 1999 Red Vinyl Version which stands approximately 9 1/2 inches. 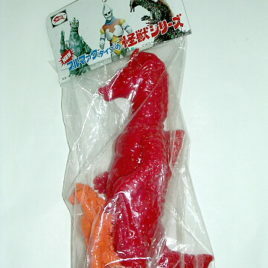 The Mecha Godzilla is 4 inches and is orange vinyl. It comes in bag.